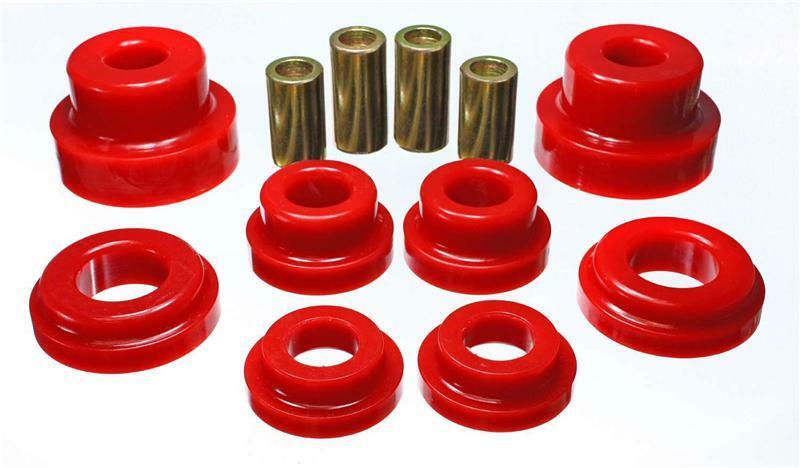 If your car’s handling seems a bit on the sloppy side lately, replace your mushy rubber bushings with Energy Suspension’s Rear Sub Frame Bushing Sets. Because polyurethane is unaffected by oil, smog, road salt, or most chemicals, it doesn’t soften, compress, or distort like rubber does. So when you turn the steering wheel, take a high-speed corner, or hit some potholes, these bushings will give you the ride of your life.